First a bit of business: We need an advanced-level Japanese-to-English translator to QC translations. We have a backlog of scripts that need checking, including "Bread & Butter" chapter 5. We need a translator who's comfortable with no furigana. The commitment is up to two scripts a week. There are no expectations for the volunteer to translate unless they want to. If you are interested, please send me some email using the link at the top right corner of this blog. 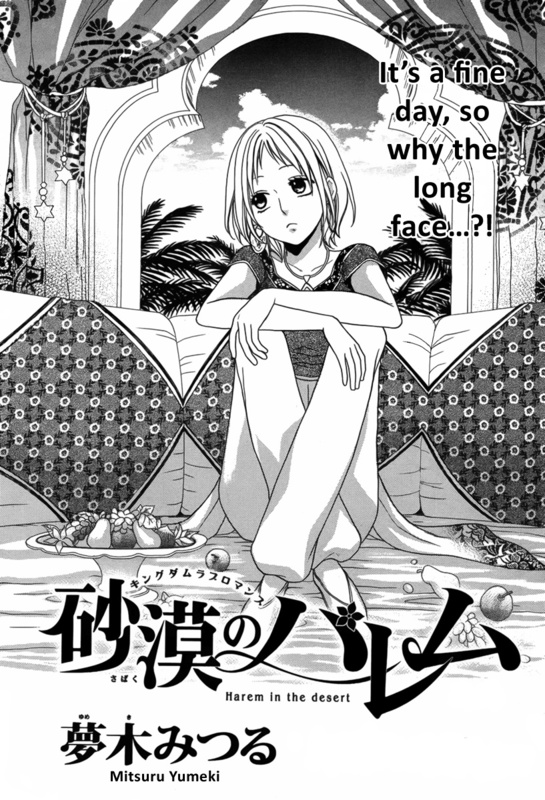 Here's chapter 8 of "Sabaku no Harem". 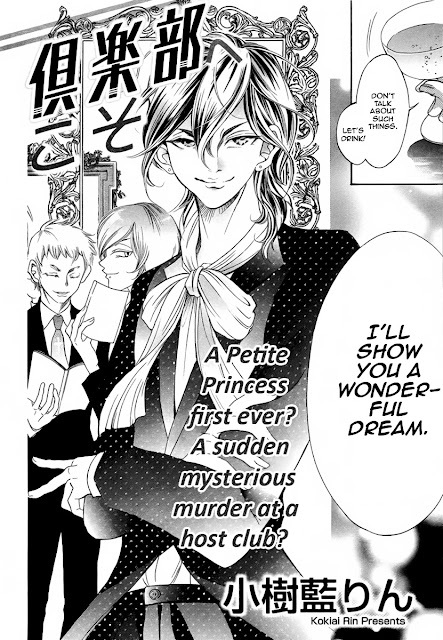 I have lots of thoughts about this chapter which I will ramble about on Lovely Manga this weekend. Sufficed to say I like what's going on here. I don't need my stories of women to be feminist victories. There's also beauty in watching a person break another person. I love examining the manipulation and watching the power balance in relationships. 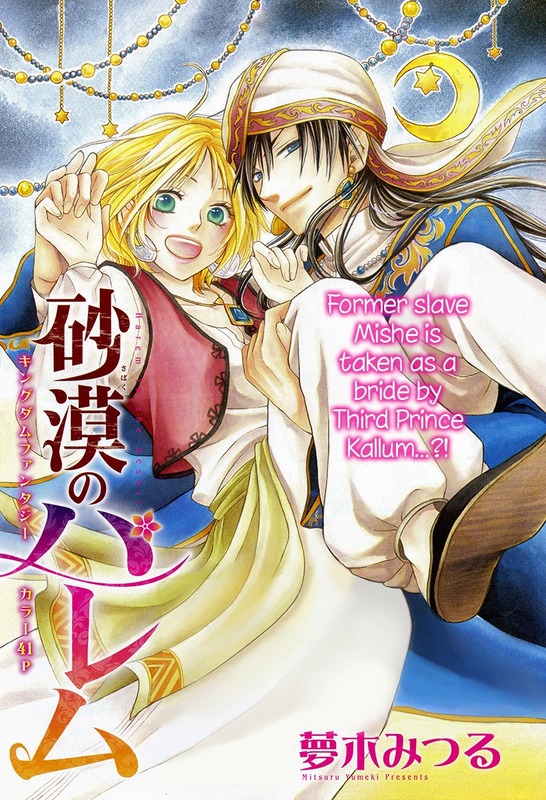 Mishe and Kallum are an interesting pair. Let me stop before I go into full rambling mode. And now onto the release! Hooray!!! "Ojousama no Untenshu" has been licensed! 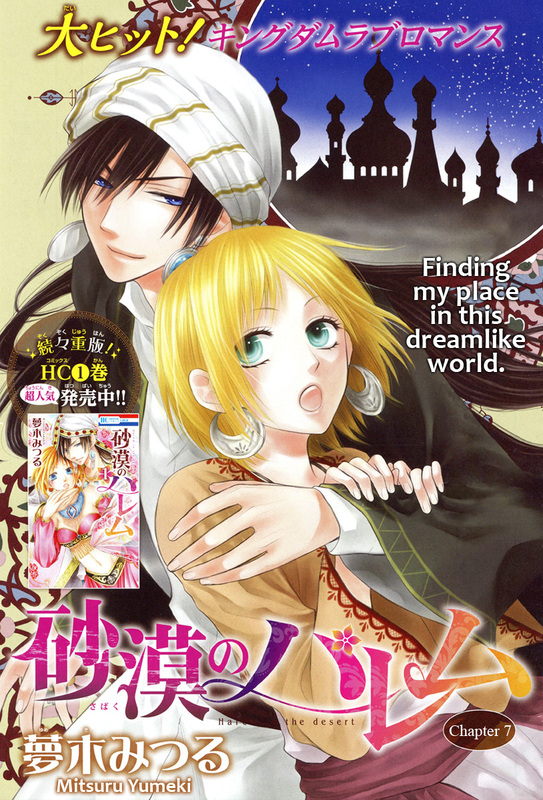 It will be available from Viz/ Shoujo Beat as "The Heiress and the Chauffeur". 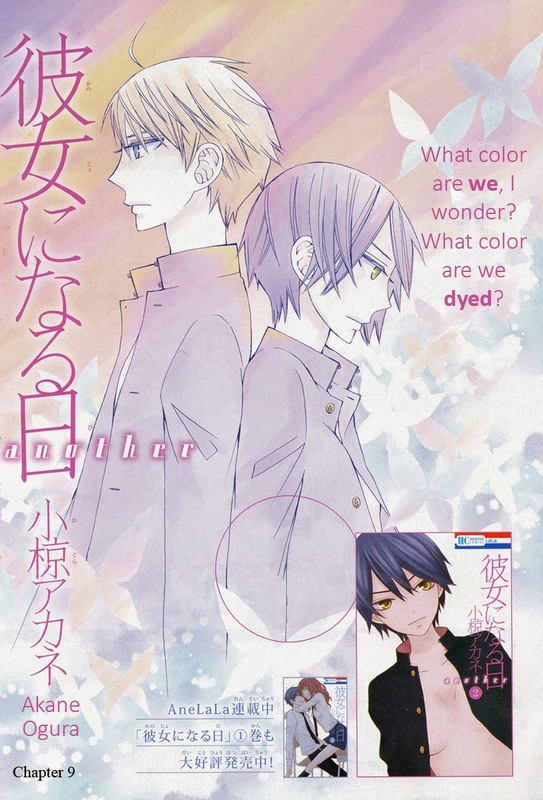 The first volume will be released in May 2016. 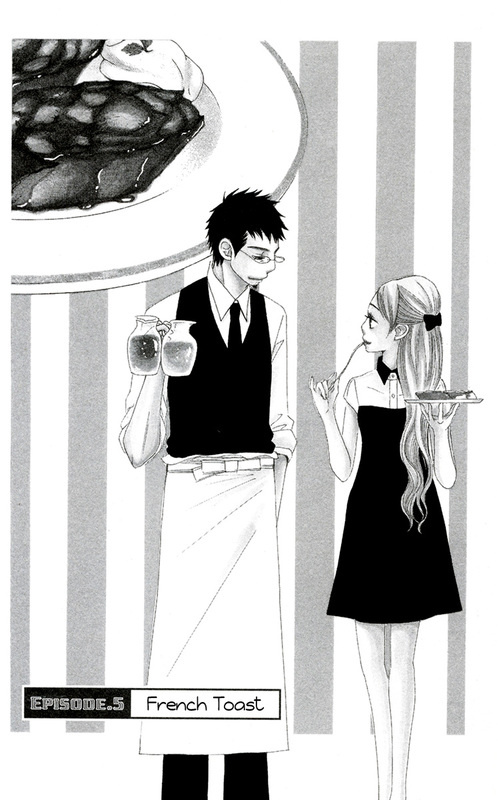 Please support the mangaka and Shoujo Beat licensing by purchasing the book when it goes on sale. As usual, the series have been removed from the Crimson Flower server (Haha -- I changed the group name to Crimson Flower because of this series. Hee!) and I deactivated the dead links. Here's the current chapter of "Kanojo ni Naru Hi". 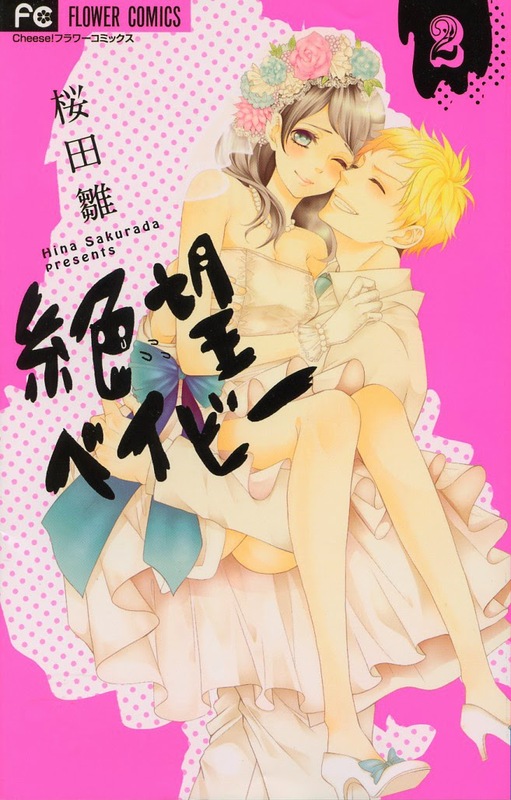 Please remember that "Kanojo ni Naru Hi" and "Kanojo ni Naru Hi -- Another" are bi-monthly series on alternating schedules. 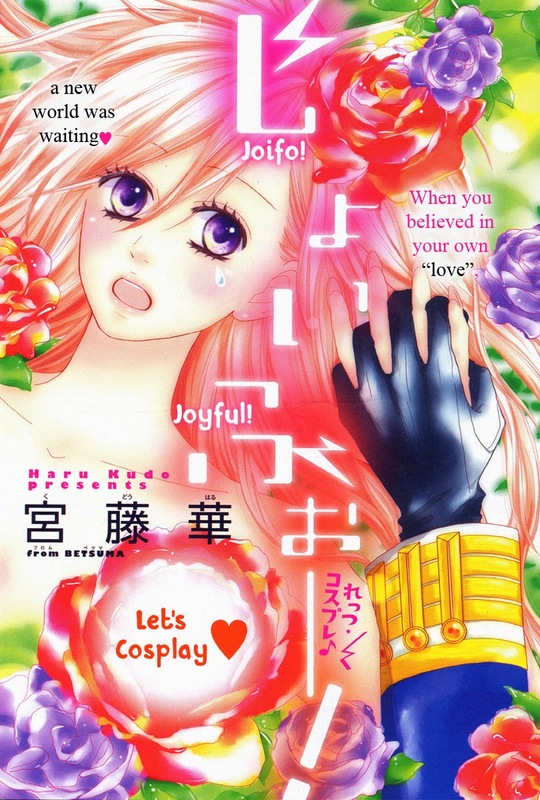 "Kanojo ni Naru Hi -- Another" comes off of hiatus in Lala DX 9. We'll start working on it as soon as Lala DX 9 arrives here in mid-August. I just noticed that Mamiya's got some lady-plumber crack going on. Anyhow, here's the release. 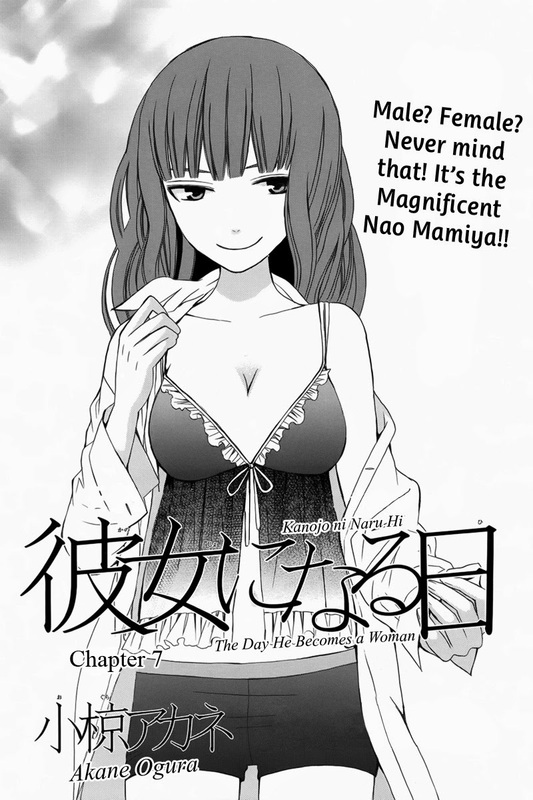 I wrote my thoughts on the chapter on the Lovely Manga Blog (LINK). The team needs a couple translators for harder series like Petite Peche and to check translations (we currently have a backlog of scripts that need QCing). I'm looking for people with advanced Japanese language skills who can handle material without furigana. There is no translation commitment. Volunteers can translate as much as they want or nothing at all. 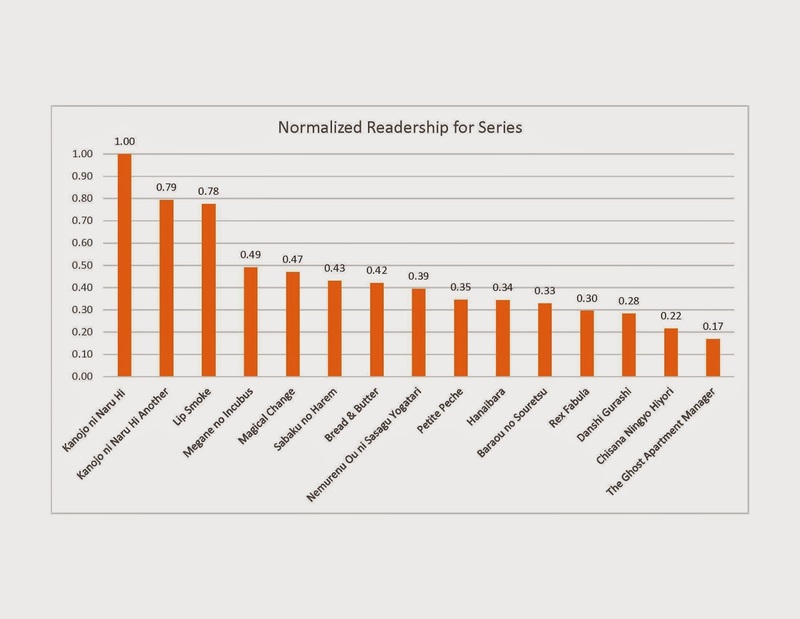 However, there is a one chapter or oneshot per week commitment for translation QC. If you are interested, please contact me, Kuroneko003 using the contact link at the top right corner of this blog. 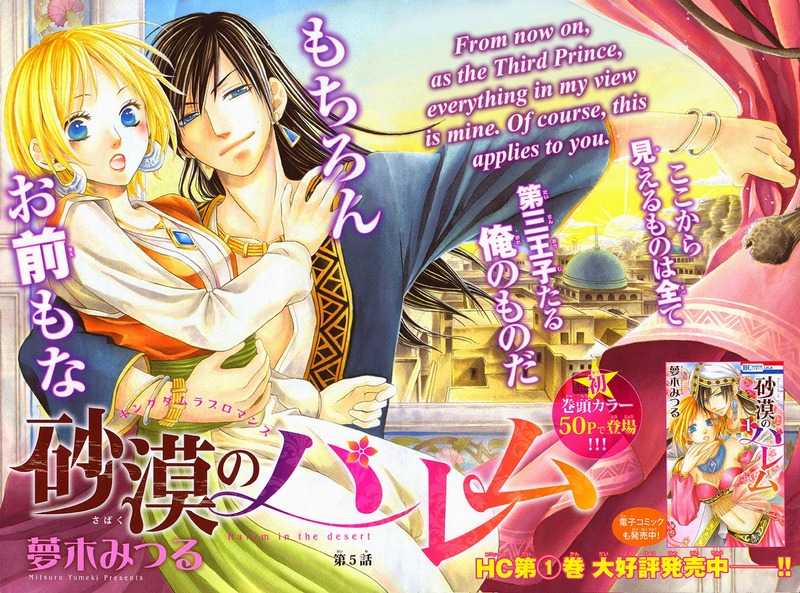 This is another very different kind of shoujo oneshot from Petite Princess that I've been wanting to translate for a long time. I'm not fond of the artwork, but I think the story made up for it for me. However... this mangaka does draws old people quite well, which is very unusual for shoujo artists. Anyhow, I hope you enjoy this oneshot as much as I did! 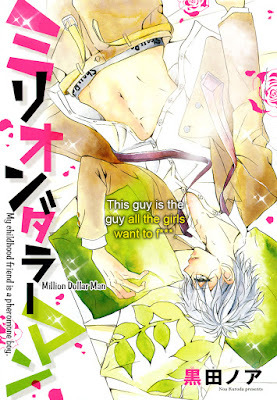 I may do a little write up on this oneshot on Lovely Manga tomorrow. 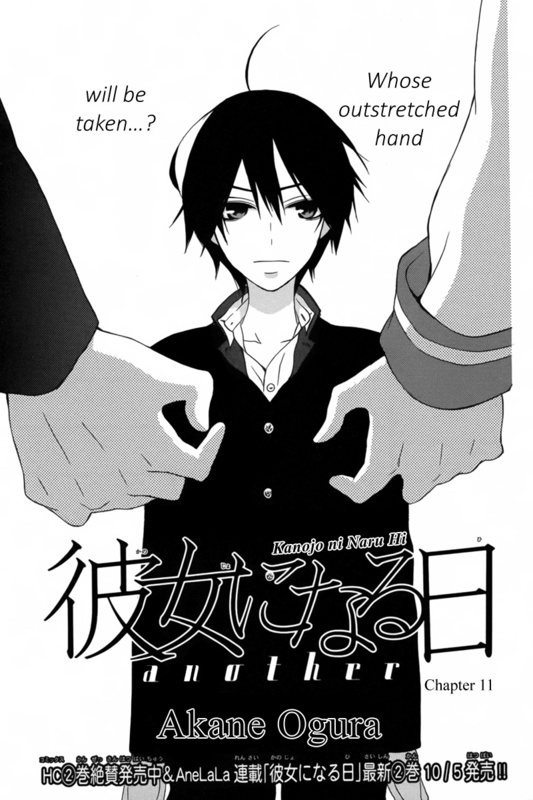 With this chapter, we are all caught up on "Kanojo ni Naru Hi". The Next chapter won't release in Japanese until the first week of July. We'll aim to get it out within a week of receiving the raw. There are a lot of thoughts running through my head after reading chapters 9 and 10. 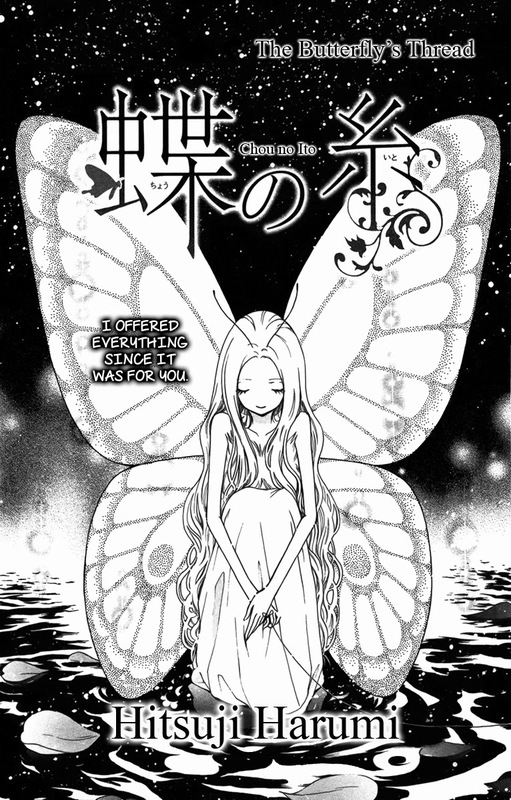 I posted my thoughts on both chapters on the Lovely Manga Blog (LINK). I'm sorry for the long wait, but here's chapter 9 finally. Chapter 10 will be out very soon. 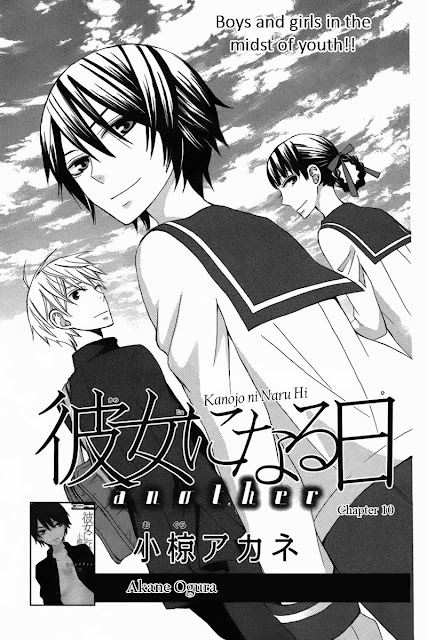 I'll write my thoughts about chapter 9 and 10 together on the Lovely Manga Blog after chapter 10 is released. There's a lot to talk about in these chapters. I'm most eager to read what some of you think of chapter 10. I love how the frontispieces usually have nothing to do with the chapters. From this, we expect to finally see Sagara in girl's uniform. Of course we aren't there yet. Anyhow, I posted my thoughts on both chapters 9 and 10 on the Lovely Manga Blog. 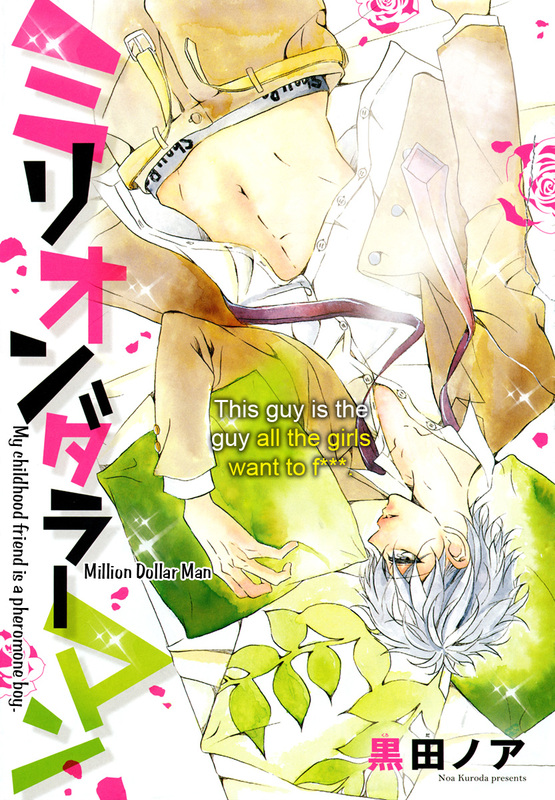 Again, just reminder that "Kanojo ni Naru Hi Another" is currently on hiatus until August. Depending on the length, chapter 11 will be released in late August or early September. I'm so out of it tonight that I almost forgot to post this release. The final checks are still being done on chapter 10. I anticipate being able to release it sometime tomorrow, so please enjoy chapter 9 now. 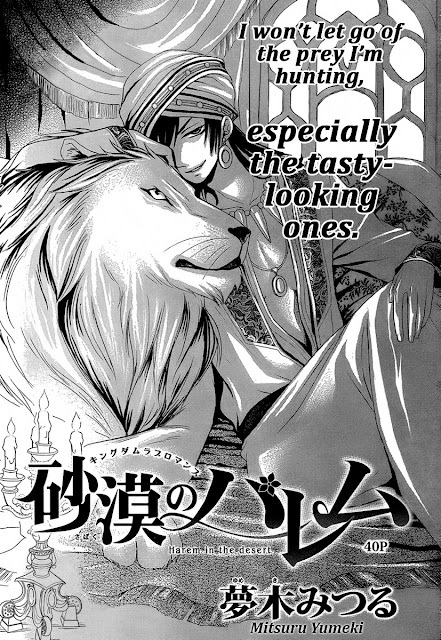 I posted my thoughts on both chapters 9 and 10 on the Lovely Manga Blog. 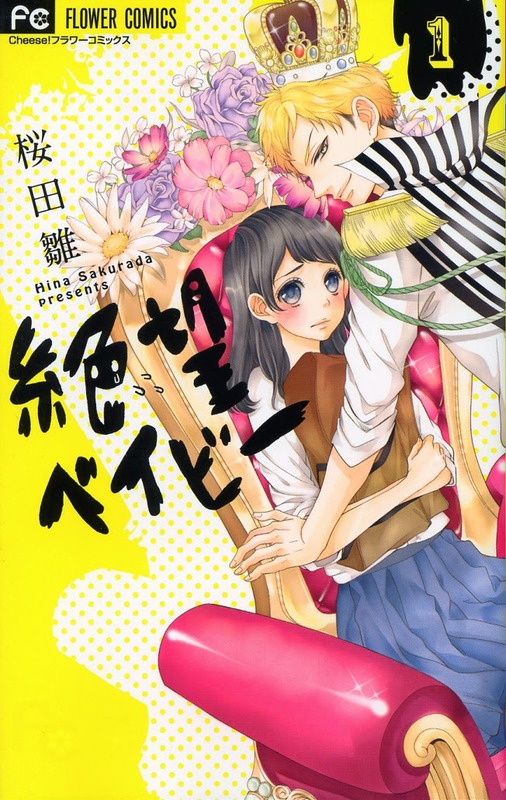 After chapter 10, "Kanojo ni Naru Hi Another" goes on hiatus until August, so, depending on how long the chapter is, don't expect chapter 11 until late August or earlier September. 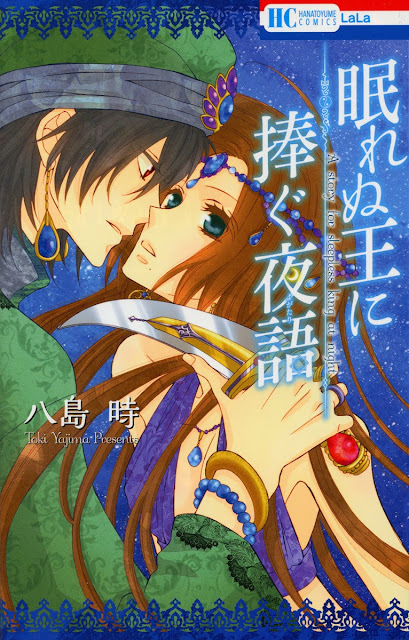 After evaluating what's in my stash, I've decided that we will not be working on any of Kaoru Ichinose's untranslated works that are out there at present. This has been at the back of my mind for a long time, which is why I have been dragging my feet on these projects. If there are works in the future that interest us, we will take them on, however Ichinose's current Ohzora works are not a good fit for our group. Since I get this question at least twice a week and I'm tired of answering at least twice a week. 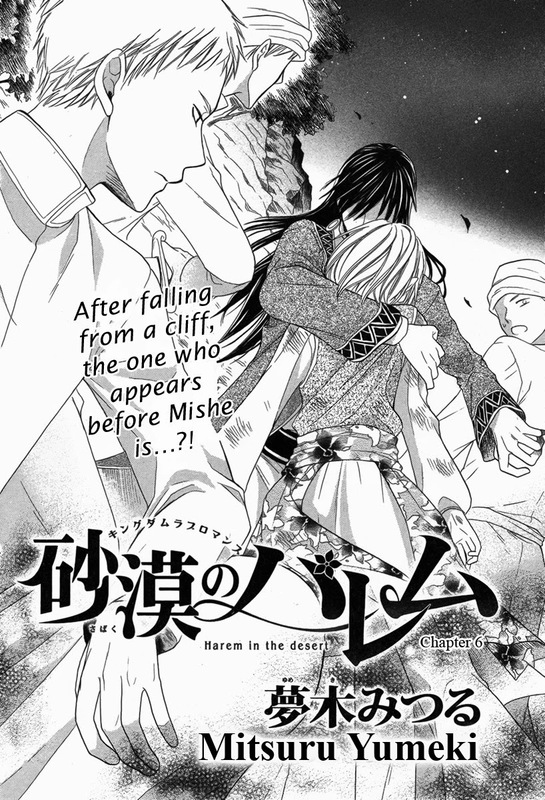 Great news from Shojo Beat this morning! "Yukarism" has been licensed! This means that we will remove the files from our server and retire the series. The volume 1 will be available in December. Everyone please support Chika Shiomi by purchasing the series! Get out a tissue or two for the second chapter of "Sleepless King". I really like a sad story every once in a while to balance the happiness. For this chapter, pay attention to who has the mole near their mouth. It's easy to miss in this chapter. I finally did my "Sabaku no Harem" commentary on Lovely Manga. (LINK) It's a safe place to spoil all you want, so head on over to give your own commentary and share your favorite scenes. You can also leave comments on the individual images in the post. First of all, I'd like to thank Ichigo Stars and Silverlunar for doing some crazy Photoshop gymnastics to get the redraws done for this chapter. 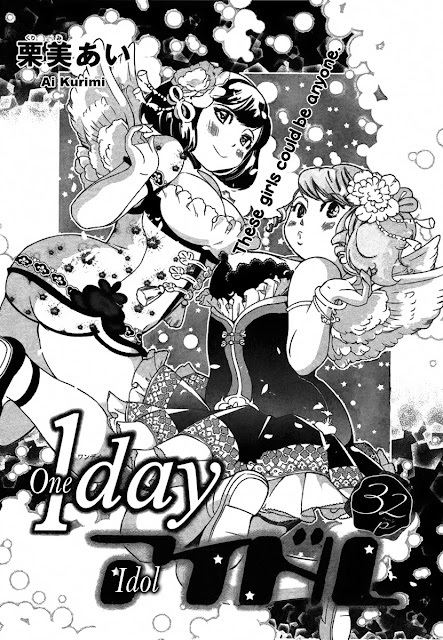 Ugh... as soon as we catch up, a new chapter comes out with another special chapter coming out in Lala 9 days from now. And with that, we're two chapters in the hole again. This series is going to be the death of me and the redraw artists! I hope it's printed in the good section of Lala and it's less than 50 pages. Please, please, let it be a short with a nice raw. 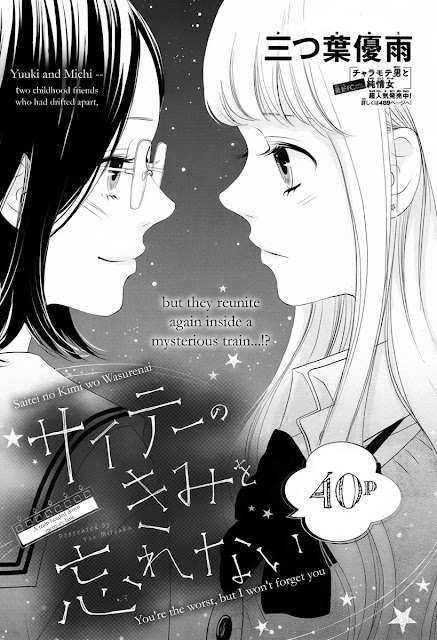 But before we get back to this series, I would like to release "Bread & Butter" chapter 5 and catch up on the "Kanojo ni Naru Hi's". This is pretty heavy chapter. I'll write my thoughts about it on the Lovely Manga blog sometime tomorrow. Chapter 7 is a fun filler chapter. I assume the second Lala Special chapter will also be filler. "Sabaku no Harem" is labor intensive to redraw. We need redraw help with this series so we can release it in a timely manner. If you are an experienced redraw artist and can spare a few hours once a month, we'd appreciate you joining the team. 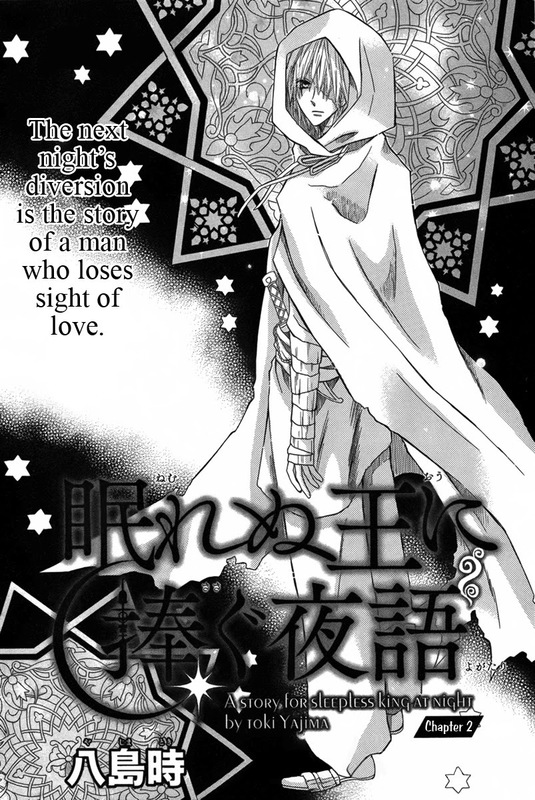 "Sabaku no Harem" starts a new story arc in chapter 5 that ends in chapter 6. 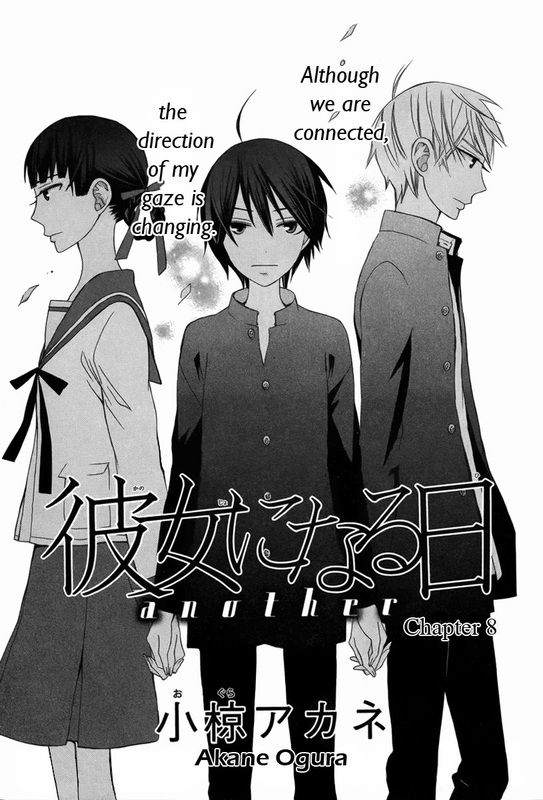 I want to rant about the two chapters, but I'll save it for the Lovely Manga Blog. First of all, I'd like to thank Ichigo Stars for jamming through a TON of redraws in a short time. This chapter was STOOPID. 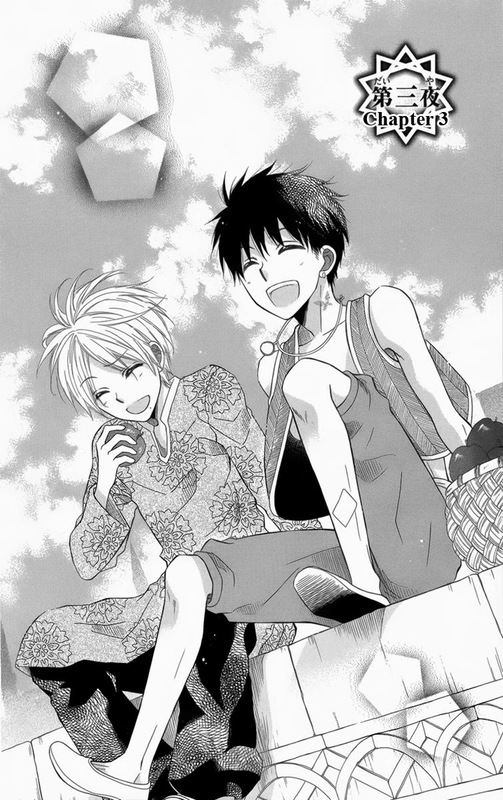 This chapter is super cute! It was just the thing I needed while translating it. 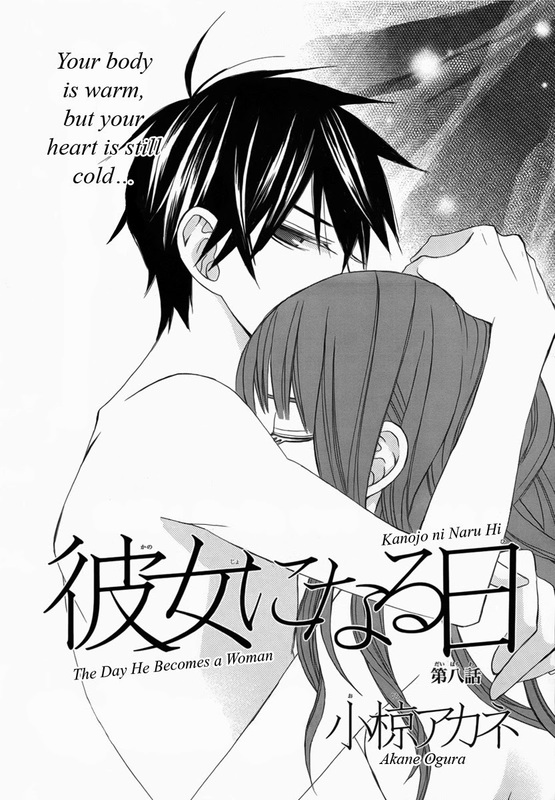 I shared my thoughts on the chapter on the Lovely Manga Blog. Here's a link! We no longer give permission for re-translation of our projects. We believe that it is best to translate from the original Japanese into your own language. Happy New Year! I hope you all had a fun and restful winter holiday. We're finally back from our winter break, refreshed and ready to take on the new year! Barring anymore RL "fun", we should get back to releasing regularly from now on. And now a little bit of personal plugging! 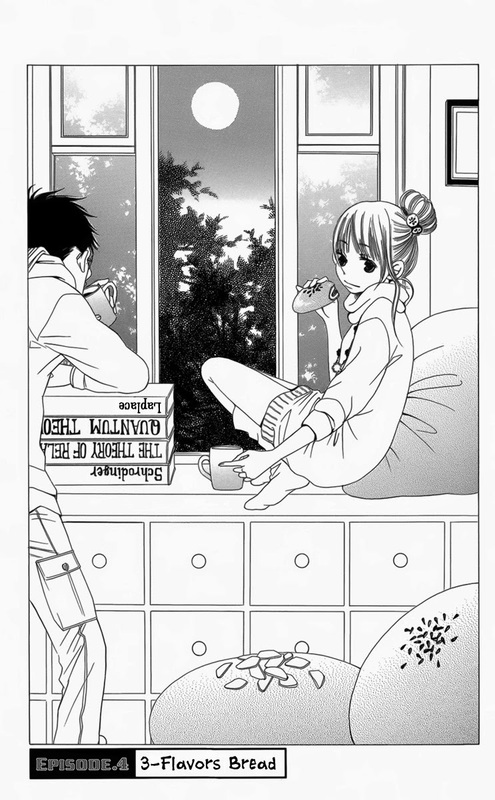 As some of you know, I transformed one of my old blogs into a new shoujo and josei manga focused (non-scanlation) blog. 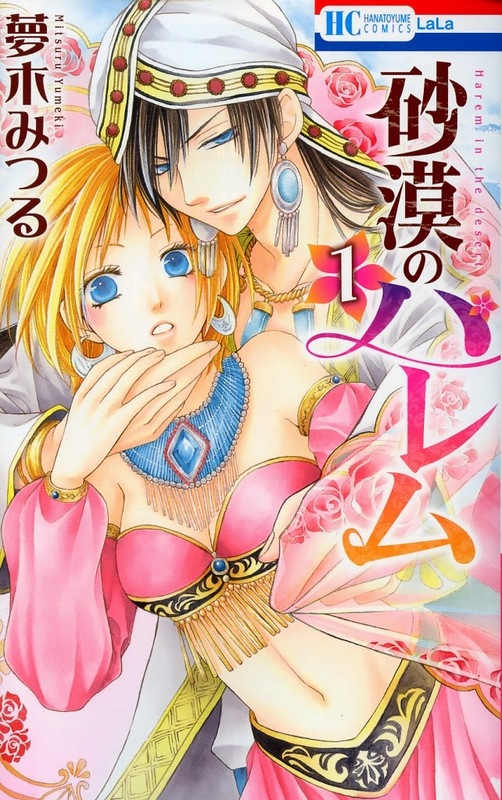 It's called "Lovely Manga". The URL is http://lovelymangas.com/ So far I've been posting reviews for both licensed and unlicensed manga, writing my perspective on Crimson Flower releases, posting manga related news and commentary, and posting highlights from the magazines I get. Within the magazine highlight postings, sometimes I post PDFs of the summary Tweets of the oneshots and series I read in the magazines, but do not scanlate. 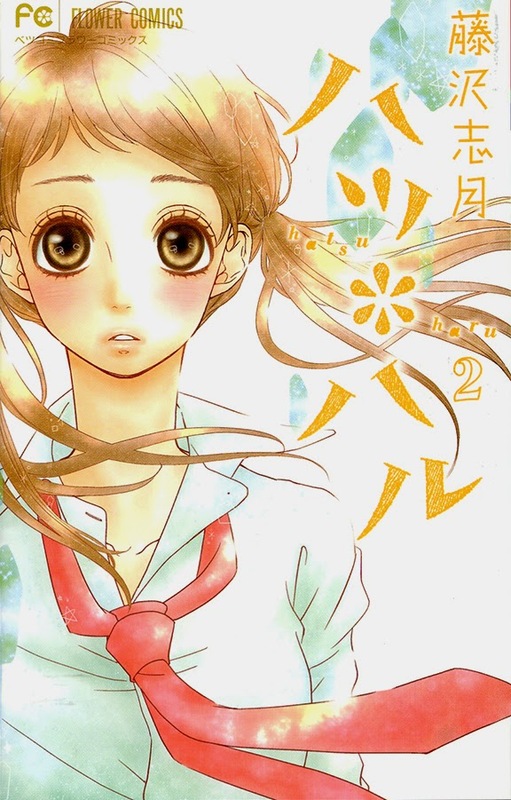 We're a little behind on the two "Kanojo ni Naru Hi" series. We'll spend some time this month catching up. 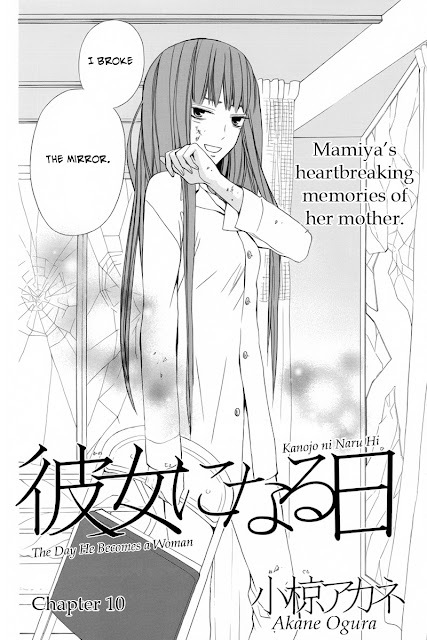 Like I did with the last chapter of "Kanojo ni Naru Hi -- Another", I'll post my thoughts about the chapter on Lovely Manga so I don't spoil the chapter or bias thoughts. 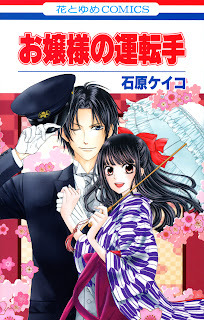 As some of you know, I transformed one of my old blogs into a new shoujo and josei manga focused (non-scanlation) blog. 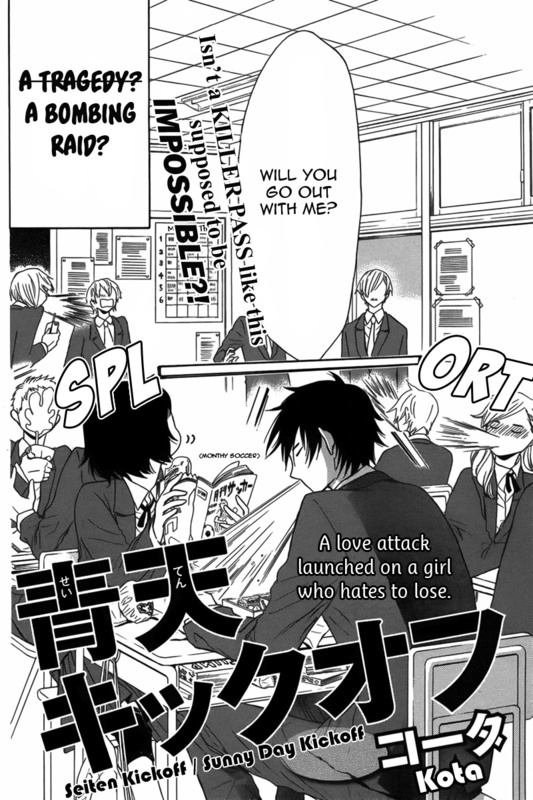 It's called "Lovely Manga". 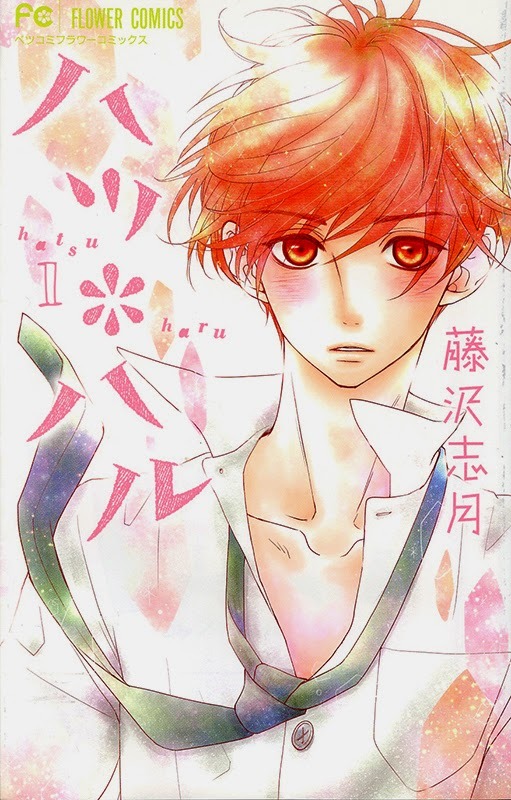 The URL is http://lovelymangas.com/ So far I've been posting reviews for both licensed and unlicensed manga, writing my perspective on Crimson Flower releases, posting manga related news and commentary, and posting highlights from the magazines I get. 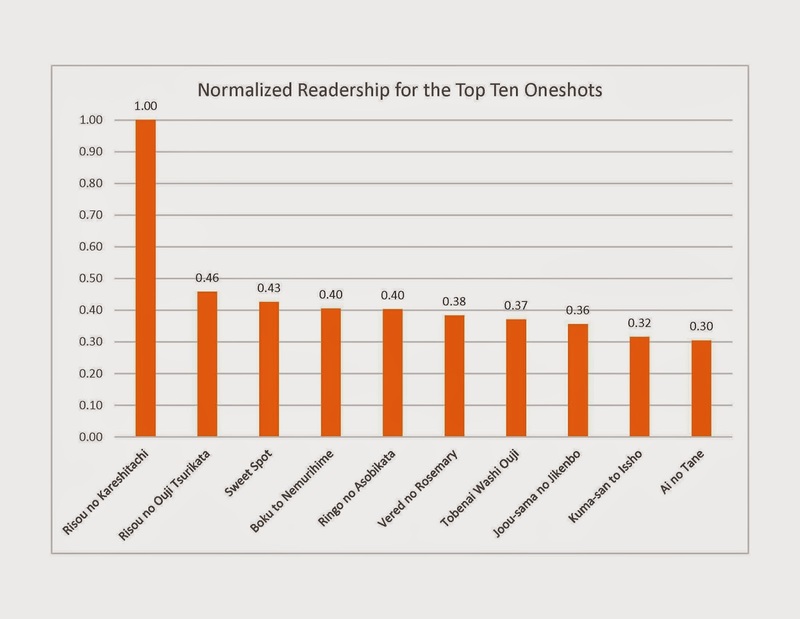 Within the magazine highlight postings, sometimes I post PDFs of the summary Tweets of the oneshots and series I read in the magazines, but do not scanlate. I'm thinking about writing separate formal summaries for the series that I think are really good, but I won't scanlate because another group is already scanlating it, or it's too difficult to scanlate, or it's licensed, or I'm afraid it's gonna be endless shoujo. I'm also considering writing first chapter reviews for the new series that come out in the magazines I get. Please head on over to the blog and let me know what you think. If you have content ideas, please let me know. I want to put out the information you want about the latest shoujo and josei series and oneshots. I also would like it to be a place for discussions about manga news and series. Here are some posts that may interest you.